Boy, I Love Great Coffee! PurJava was developed from a search for coffee that had great coffee taste without the bitterness and acidity of regular brewed coffee. Coffee beans are obtained from growers and then shipped by air to ensure freshness. 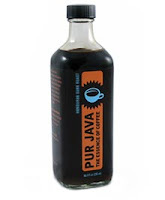 It has to be said, I really LOVE PURJAVA Sumatra Decaffeinated!